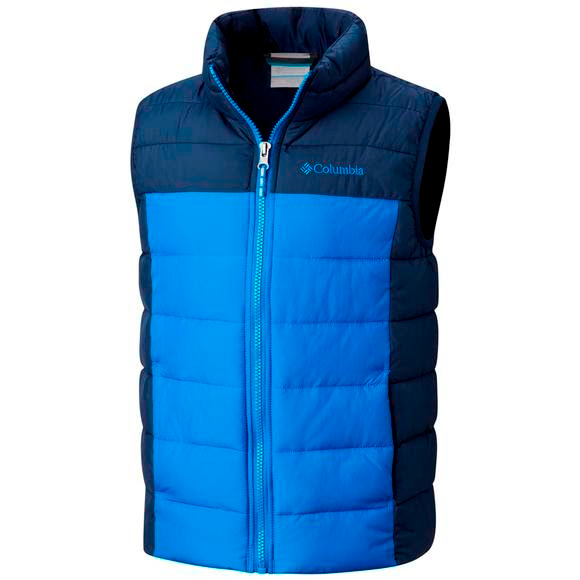 The Columbia Boy's Youth Powder Lite™ Puffer Vest offers multi-season protection. Water-resistant fabric and synthetic insulation combine in a core-warming layer for snowy romps and chilly hikes. Fleece-lined pockets hold gloves and lend a soft place for hands. Reflective details stand out for a cool tech look. Lightweight yet tough, this zip-up vest adds extra warmth any season. The Columbia Boy&apos;s Youth Powder Lite™ Puffer Vest offers multi-season protection. Water-resistant fabric and synthetic insulation combine in a core-warming layer for snowy romps and chilly hikes. Fleece-lined pockets hold gloves and lend a soft place for hands. Reflective details stand out for a cool tech look. Lightweight yet tough, this zip-up vest adds extra warmth any season.